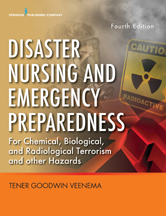 This impressive edition builds upon the solid foundation of the first three award-winning editions with an expanded focus on climate change related disasters, globalization and its implications for emerging and re-emerging infectious diseases, the accommodation of high-risk, high-vulnerability populations, and the potential for disaster arising from a world witnessing increasing community violence and civil unrest. Appendix 13.1 Breastfeeding: A Vital Emergency Response. Are You Ready? How Can Nurses Actively Engage in and Lead on Disaster Risk Reduction and Disaster Risk-Management Policy Nationally and Globally? 15. Complex Humanitarian Emergencies - Frederick M. Burkle, Jr.
Why Would Terrorists Use Chemical or Biological Agents? How Might the Choice of CB Weapons Differ Between Military and Terrorist Use? What Are the Real Risks of Chemical Terrorism/Bioterrorism? What Agents Might the Bioterrorist Use? How Is Disease Occurrence Measured? What Types of Systems Are Used to Collect Surveillance Data? What Are the Roles of State and Local Health Departments in Disease Surveillance Systems? What Is the Role of Clinicians in Infectious Disease Surveillance? What Is the Role of Animal Surveillance Systems? How Do Emergency Information Systems Fit Into a Biosurveillance System? Why Are Children's Responses Different From Adults in Disasters?